Yes, that’s right. Since we opened we’d taken one day a week off, and that day was Wednesday. Starting this week, we’ll be open on Wednesdays and be taking the day off on Mondays. Why Wednesdays you ask? Well, many of the restaurants in this area are closed on Sundays, so we wanted to give you a place to go and not close then. 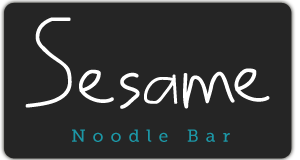 As most of the hair salons are closed on Mondays, we wanted to give those miracle workers who make our hair humidity-proof a chance to have some noodles. As far as Tuesdays, well, there is just nothing special about Tuesdays so we didn’t want to give it any more of a complex. That left Wednesdays (for efficiency, we’ll just say that Thurs/Fri/Sat were never in the running). Wednesdays seemed like a good day to close, we figured the week had sped up, you might be crunched and not want to come out, but then the calls started coming in. One woman didn’t get the memo and was hitting the padlock on our front door with her cane. Another guy climbed up the grating to peer in while we were bubbling our cauldron trying to concoct new recipes. Our phone started ringing off the hook asking if we were open, then questioning our motives for closing Wednesdays (no, we are not part-time spies working only on Wednesdays). Something had to change. 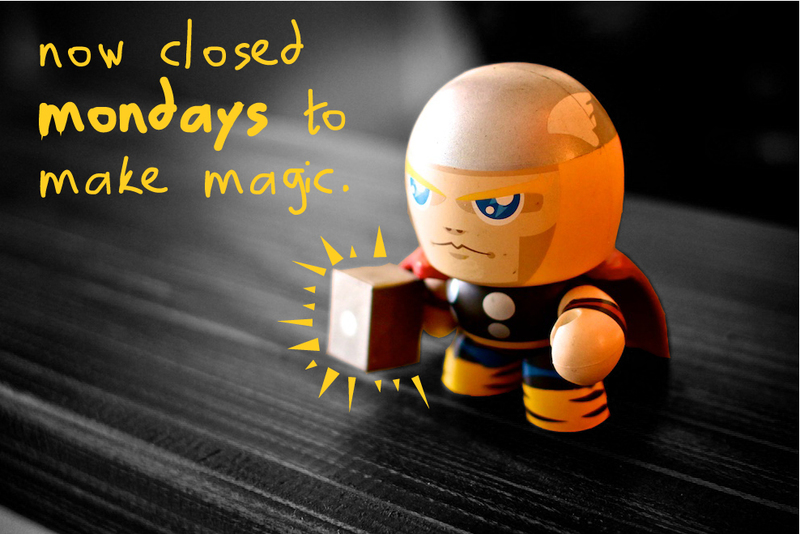 So, as of February 4, we are closed on Mondays and open on Wednesdays. We figure this is better for most of you– Mondays are often brutal at work and many people barely have time to eat from a can of tuna at their desk, let alone go out to lunch and slurp of the joy of pork and noodles. There you have it. Sorry hairstylists, don’t hold it against us.